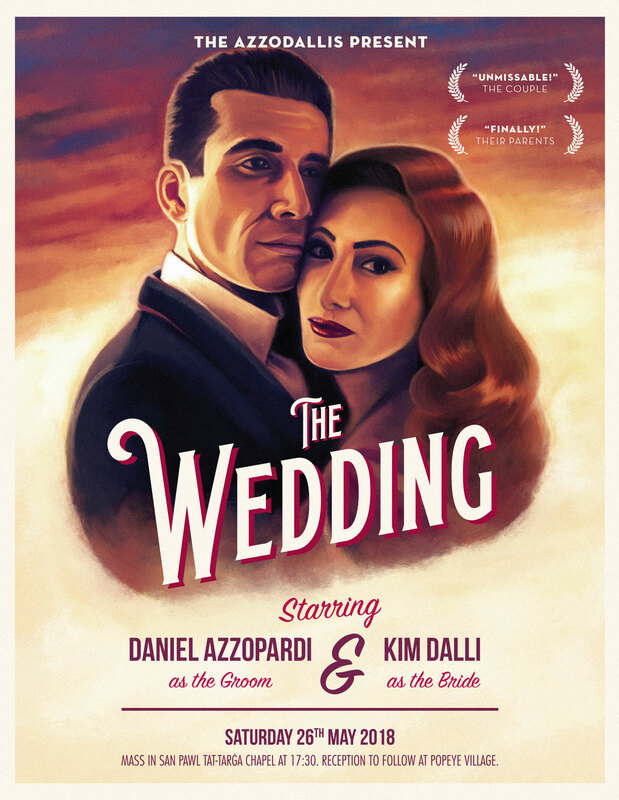 I was immediately intrigued when Kim and Daniel, two popular Maltese actors, contacted me to create their wedding invitation in the style of vintage movie posters. I have always been fascinated with hand-painted posters from the mid-20th century so when this opportunity came along I immediately agreed. The couple came over to my studio to discuss their pose in more detail, after which I took some reference photos with the appropriate lighting. 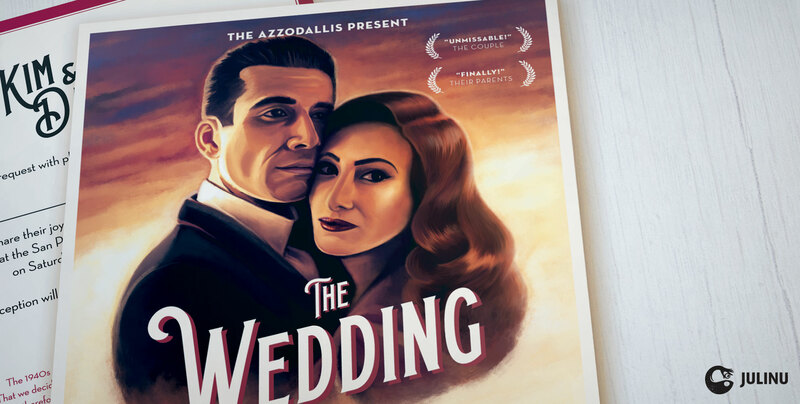 The illustration was then digitally hand-painted using a graphics tablet. Extra care was taken to ensure recognisability while retaining the style reminiscent of the Casablanca era. Complimentary typography has been used to make sure the whole artwork ties up neatly and serves its function as an invitation..